Minikin V2 180W Touch Screen by asMODus features the new, more battery- efficient, GX-180-HT chipset, a capacitive touch screen and a USB port for firmware upgrades, while the ergonomic design of the body makes it comfortable to handle. The Minikin V2 180W has a new maximum cap of 180W in wattage mode and 120W in temperature mode with temperature control range of 100°C to 300°C. The resistance range features 0.1 to 2.5 Ohms. The responsive LED display shows the particular mode of user, individual battery charge, resistance of the atomizers, the duration of the fire, volts being used to fire and a puff counter. The Minikin V2 main menu can be accessed by swiping down the display screen. Once unlocked, it will prove options to access three menus: Setup resistance ("SET RES”); firing mode ("MODE"); and setup ("SET Up'). - "SET RES” will allow the user to manually change the device resistance. Please Note: The changing of resistance only applies when using a temperature control mode. - "MODE" has four menus "PWR", "COIL", "TCR" and "TFR"
The “PWR” menu provides two different options: “W” which is the standard wattage control mode and the new “CURVE” mode. Touching the “CURVE” will allow the user to set five different wattages over time presets. For example by adjusting the “CURVE,” the device can be setup to fire at 70 watts for 1 second, 90 watts for 1.2 seconds, and 110 watts for 1.5 seconds. The "COIL” mode allows the selection of the type of wire being fired. The Minikin V2 supports Ni200, SS316, SS317, and Ti. "TCR" and "TFR" modes. - "SET UP" will allow the adjustment to the screen brightness on scale of 1 to 10. The next menu will allow the user to setup “PUFF LIMIT". When limit is reached the device will not fire. From the last menu there is an option to clear the puff counter. 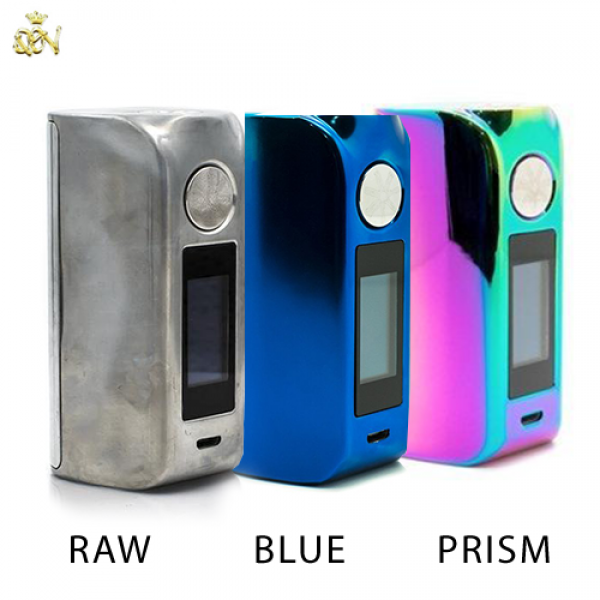 The latest Minikin V2 180W Touch Screen offers a powerful and dependable vape experience. This will go great with our e-cig kits which includes all the essentials for beginners and whilst you're at it check out our great selection of e-liquids.